The Mermaid's Tale: Make mine espresso! 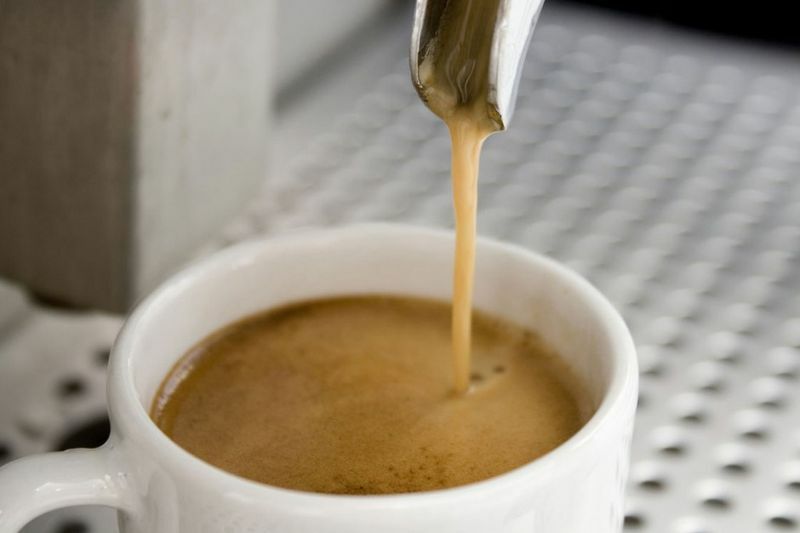 The apparent health benefits to drinking coffee are adding up, as a piece in The Atlantic notes. One of the newly published benefits, though, seems to be another story in the you-choose-which-effect-you-prefer category: Caffeinated coffee protects against basal cell carcinoma! Now this is about the easiest-to-swallow medicine one can imagine. Just zip down to your local café for your meds (Rx: take several times daily, warm or iced; more than 2 is best, particularly for women; 1 a month doesn't help at all). It is so convenient, and if you're an American you can also load it up with whipped cream, caramel swirl, cinnamon, and whatever else you crave. And although it requires you to be on lifetime medication, rarely do doses and wants coincide so well. The news is even better (except for Mormons): caffeinated tea, cola and chocolate are also protective boons to lifestyle--and, unlike Viagra, no prescription needed! There is a problem, however, if you think about this even a little bit. As with so many other magical cures, there are side effects of the treatment and not all of them are good. We've posted about this before. Basal cell carcinoma is a slow growing skin cancer that can be the result of too much sun. So, if you're in the Mediterranean, or Paris, or any Italian city, or any American city where foodies reign you have many outdoor places to take your daily doses. They're the specialized pharmaceutical outlets known as "cafés." Out there on the sidewalk, people are often exposed to the sun as they bask in caffeinated conversations about the troubles of the world. 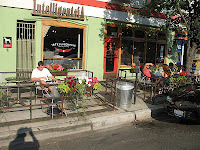 Their sunlight exposure as they sip may cancel out or even overwhelm the caffeine's protective effect. A clue to this possibility is that these results were based on the Nurses Health Study itself, and potential flaws the designers seem not to be aware of, but should be: that was a Harvard study (which, surprisingly, doesn't in itself make it correct), and there's little sunshine where most of their subjects' live (even Boston didn't really start getting European-style outdoor sidewalk cafés until recently, and only for a part of the year at that). Secondly, thanks to the stalwart policies of Starbucks, most coffee drunk today is so laced with sugary calories, as noted earlier, that its contribution to your waistline and hence your heart's ill health, is probably every bit as great as the effect of the tiny dose of caffeine. Third, it is well known that because so many of us have gone off 'real' high-octane coffee, and because quality coffee tastes about the same whether high or low-octane, many restaurants are only making de-caf, no matter what is being ordered. This means that in the future, if not in this retrospective study, reported coffee intake is not highly correlated with actual caffeine intake. And this assumes the chemicals used in decaffeinating coffee is not harmful. Likewise, the move from robusta to the more trendy arabica plants, may involve other components of the bean that aren't being measured. Here we're not considering whether there are an GM issues, but one could ask whether arabica workers are being treated better or worse than their robusta counterparts, with any possible health outcomes for them. Most epidemiological studies isolate one factor (which is how you get the NY Times to pick up your findings), rather than attempt to look at the net result in any sophisticated way. Unfortunately, when you look for compensating factors you usually find them. That's because evolution produces complex genetic factors with many different roles, and our traits are affected by many of them. Stress an organism in one way, it responds in others. Viewing each trait as being independent is often a mistake. The world is dizzyingly complex! So, perhaps the safest thing is to just take your coffee indoors, at night, save your skin -- and hope for the best. All I want to know is, which restaurants are lying and serving only de-caf! They need to be boycotted! We read that or heard that on several occasions, but as general statement, never about a specific place or from anyone like a waiter serving us. So many people wimp out these days, that maybe hardly anyone in the US takes full octane in evening meals at any rate. I first heard this from friends of our daughter when they were working in their college dining hall as waiters for large events. The dining hall only made de-caf, though served both, every waiter carrying two coffee pots, colored-coded for caf or de-caf. They claimed this was a common practice. Another moral lesson learned at school. Of course, this is US only.